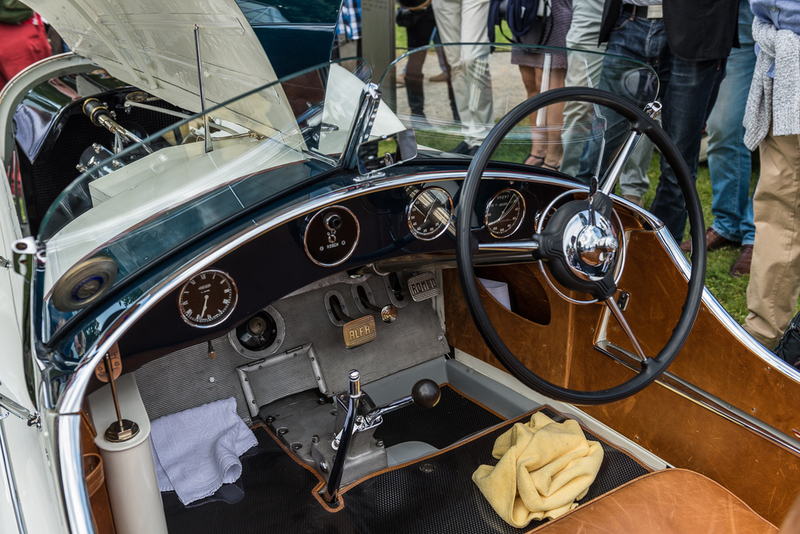 This one-of-a-kind Alfa Romeo from 1931 won the most trophies at the 2014 Concorso d'Eleganza Villa d'Este. 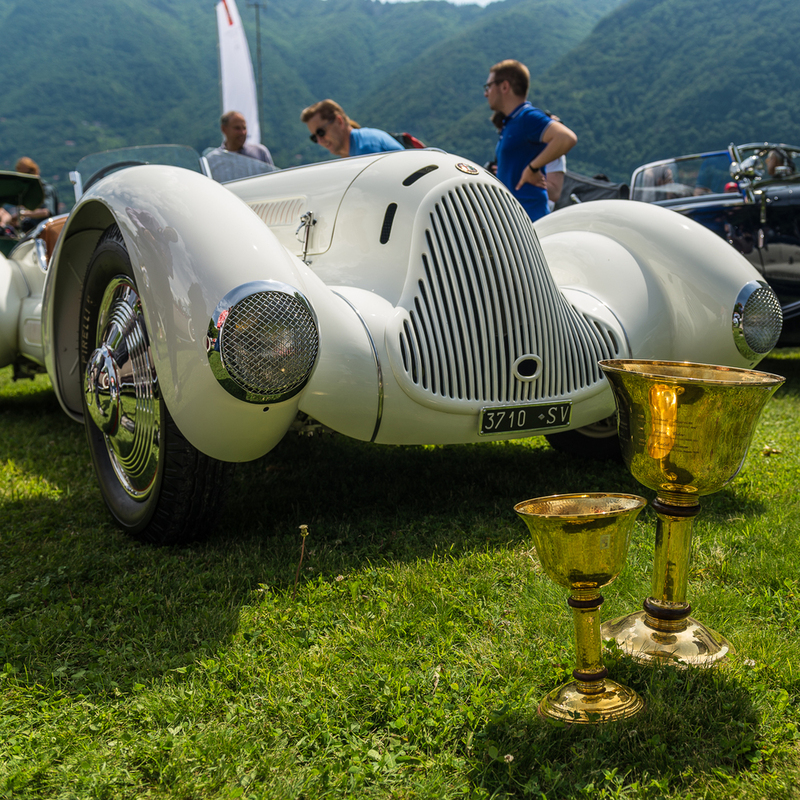 Corrado Lopresto's car won the Coppa d’Oro Villa d’Este (Best of Show by Public Referendum at Villa d’Este for Historic Cars), the Trofeo BMW Group Italia(By Public Referendum at Villa Erba for Historic Cars), the Trofeo BMW Group Ragazzi (By Young People’s Referendum (until the age of 16) at Villa Erba for Historic Cars) and was awarded as Class Winner in the "Gone With The Wind" class. 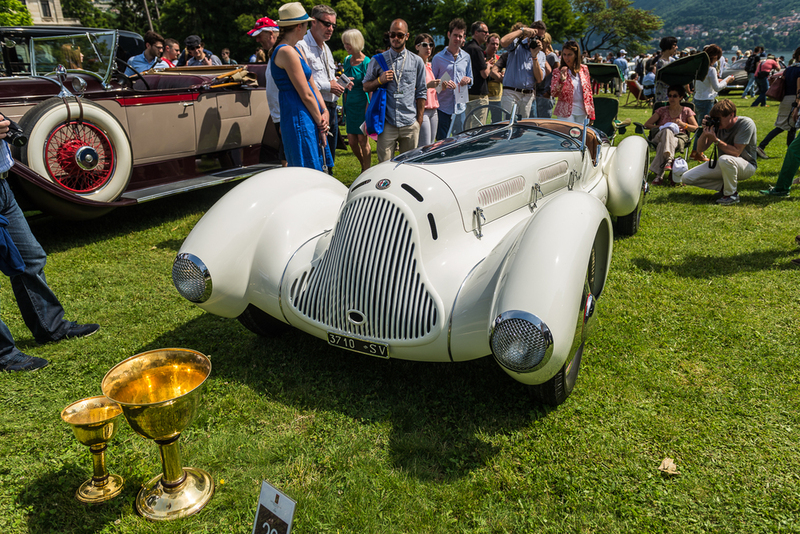 Based on the legendary 1931 Alfa Romeo 6C Zagato, this car's body was redesigned by Aprile, a small coachbuilder based in Savona, Italy in 1938. 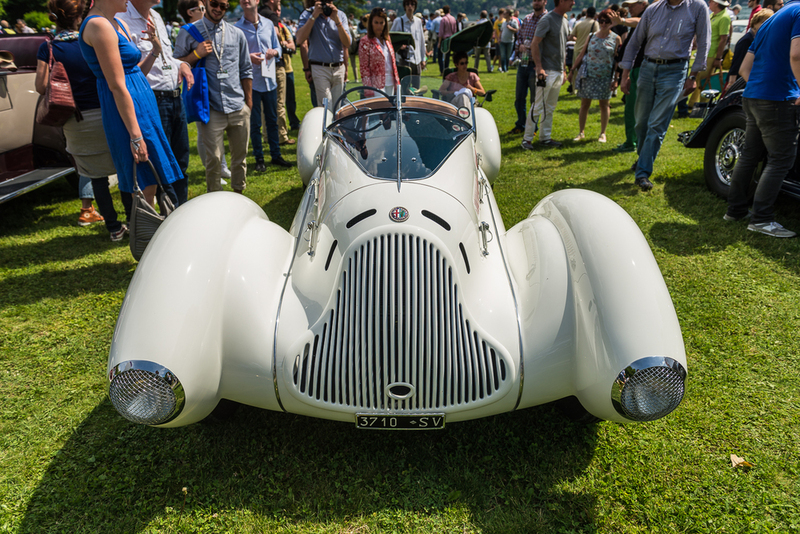 Even though this car's design is over 75 years old, it still looks stunningly futuristic.